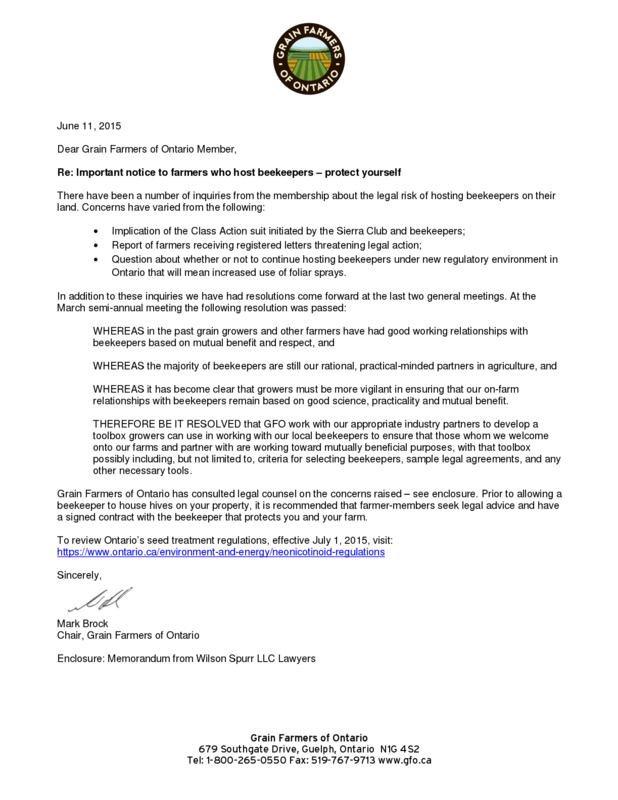 The Grain Farmers of Ontario have been very vocal opponents of Ontario’s recently approved and soon to be implemented restrictions on the neonicotinoid pesticide seed treatments. If you listen to their argument, it’s going to mean the end of grain farming as we know it. Never mind that the US EPA has concluded that “these seed treatments provide little or no overall benefits to soybean production in most situations.” Never mind that a researcher with Perdue University came to the same conclusion for corn in 2011 and replicated the results in 2012. Apparently grain is entirely different. An organization that’s spending massive amounts of its member’s money to protect their use of a seed treatment that doesn’t work is calling me irrational? I’ve just had your June 11 memo to your members passed along and I have to say that I’m disappointed that your organization take such a tack. As you say, beekeepers and farmers have relationships built on respect, but when someone messes with that, we have a problem. I’m just one beekeeper and a small one at that. I realize that you’re upset about the incoming pesticide regulations, but there’s a growing body of science showing that no only is there no need for this particular class of pesticide, but that the farmer gains little to no benefit from their use. Not for soybean and not for corn. Grain cannot possibly be any different. Why on earth you would attempt to poison the well over new restrictions on an expensive synthetic chemical treatment that doesn’t actually provide the claimed benefit is completely beyond me. I look forward to continuing my relationships with local farmers. We need each other to survive, but dogma gets in the way. Thank you for your email. 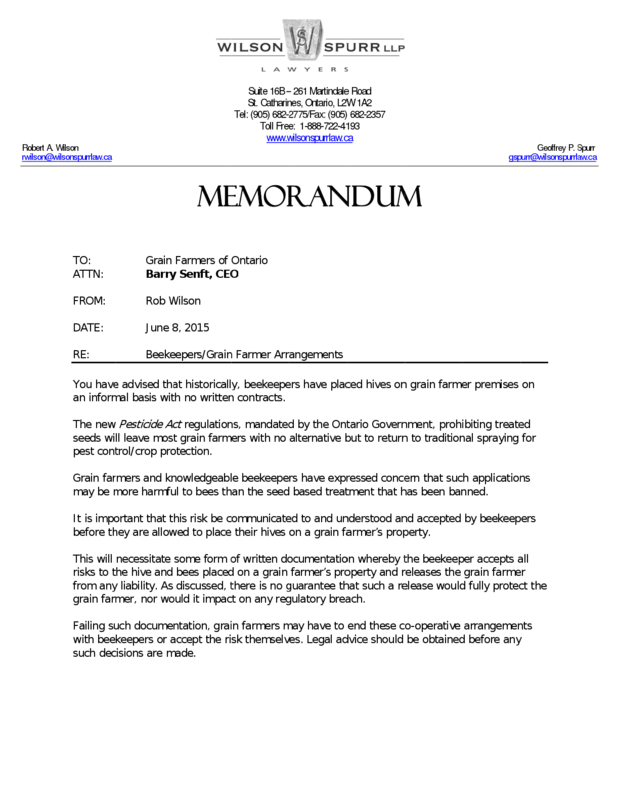 The letter you are referring to was sent to all Grain Farmers of Ontario members, not to discourage hosting bee hives on their farm, but rather to ensure that when doing so, farmers take the appropriate measures to protect themselves. While we recognize that these measures may affect relationships among farmers and beekeepers, it is our responsibility to ensure farmers are informed about the possible legal risks of establishing or continuing these relationships. 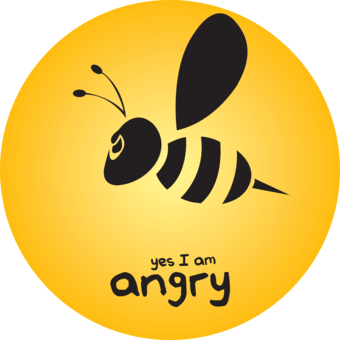 I suggest you bring these concerns forward to the Minister of Environment and Climate Change and the Ontario Beekeepers Association, as these are the entities responsible for the potentially significant impact at the grassroots level. The GFO “represents Ontario’s 28,000 growers of corn, soybean and wheat,” three crops that aren’t pollinated by honeybees. It’s pretty easy for them to just not give a damn about what their chemical treatments do as long as they get their crop and get a good price for it. The problem becomes the wider price that the rest of us have to pay for this kind of selfish, head in the sand, behaviour. Another issue is whether the GFO is really speaking in their members’ best interests or just parroting the line being fed to them by the pesticide industry through their lobby group CropLife Canada. I’ve heard rumblings that some percentage of the membership is not happy with the stand that the board has taken. Gord – thank you for taking the time to write about this on your blog, and to write to the GFO. Scare tactics indeed!